With our recent acquisition of Collated Products in February, Classic Laminations was able to enhance our book binding capabilities by adding a Duplo System 5000. 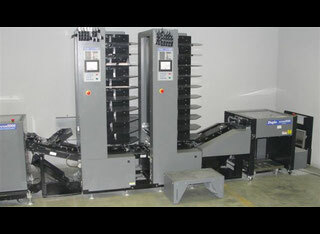 The Duplo System 5000 is a fully automatic booklet making system for both collating and binding booklets. In keeping with Classic Laminations’ mission to be the premier print finishing partner in Northeast Ohio, we are excited about what adding this piece of equipment to our production line means for our customers. In the short time since we have installed the machine on our production floor we are already seeing the increased benefits for our customers and the big advantages this system has to offer. Classic Laminations’ impressive array of Print Finishing equipment can help you earn new business. The Duplo System 5000 has a superior feeding system with the versatility to handle up to 12-point cover and is expandable to 60 bins, so there should be no collating job that is too large for us to handle, meaning you never have to turn down a job with Classic Laminations on your side. Giving you greater confidence that the work will meet your standards, the feeding system immediately detects double and misfeeds, diverting them into a unique reject tray without stopping or interrupting production. In addition, each bin has a large capacity which reduces downtime and constant reloading of the machine, so turnaround times for projects can be quicker. 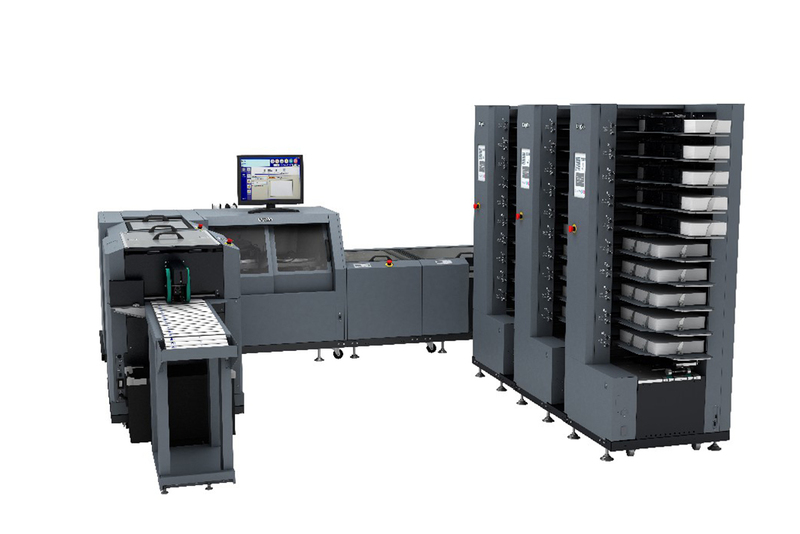 Our Duplo System 5000 offers unprecedented speeds of up to 5,000 booklets and 10,000 collated sets per hour, which means we can complete large volume jobs quickly and efficiently. Each tower can feed in both directions giving it the flexibility to make booklets or serve as a collator. The truly automatic stitcher/folder can accommodate a 14” x 20” sheet down to a CD size (4.72” x 5.52”) booklet and offers quick make-ready between size changes. The redesigned fold unit on the booklet maker provides a flatter, crisper fold, giving you a high quality finished booklet that you will be proud to call your own. We make these major investments so you don’t have to. Classic Laminations is committed to meeting and exceeding our customers’ needs and expectations. We thank you for the opportunity to be of service and look forward to continuing to grow our services, allowing you, our customer, to grow yours. Please call or email should you have any questions or need more information on our complete lineup of Print Finishing services.